We call it Human Translation when a human translator translates a text (convert it from a language into another one). It is the first type of translation ever known, as it is relying only on the human solutions to convert a text from the source language into another. 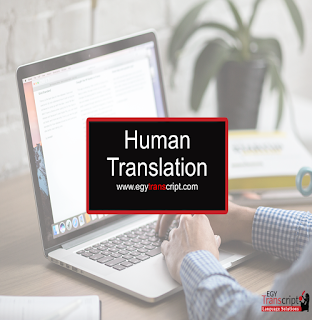 Although, there are many machines that can do translations faster than human, Human Translation remains the most widely preferred translation method to this day. As, it guarantees the ability to translate the meaning of a sentence, rather than just the words and, most importantly, it allows for the coherence and comprehension of idioms and different cultures. Our Human Translation projects are handled by highly qualified individuals in the field of translations and localization. It starts with our expert Account Managers whose mission is to ensure the translation meets your exact specifications and goals. They work to manage your project systematically. Therefore, they will be able to ensure your translation is delivered on time and at the highest possible level of quality and accuracy. They take the charge of planning and control your translation project. 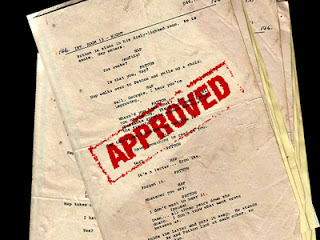 Then, highly qualified translators began to convert the source text into the target one. After finishing the translation phase, a team of expert reviewers began to proofread and review the translated text to ensure that it meets the highest quality level possible. At EgyTranscript, we believe that translation is a complex process that only humans are able to do! Because it is not a scientific calculation or a mathematical equation that could be programmed into a machine. That's why our Human Translation services always be done by professional linguists, usually native speakers or have studied the target language extensively. EgyTranscript offers professional notarized document translation services for your official documents that have to be presented to official authorities for legitimate purposes. Our expert public notary office translators can accompany you to the public sector organizations to provide you with the most accurate notarized translations. A notary public office translator is authorized to authenticate and oversee different legal formalities and notarized translations. The notarized documents translation might be required by some organizations when submitting official documents such as foreign diplomats and high school transcripts. The local laws in each country govern public notary office translators. They cannot give their personal style or tone to the text. They know well that notarized translations must be an exact translation of the source. Our professional translators offer accurate notarized translations, we work to help you get your official documents done with the less possible efforts.